Happy Wednesday! I hope you are having a great week so far! In case you missed it, I shared two outfits posts here on the blog this week. 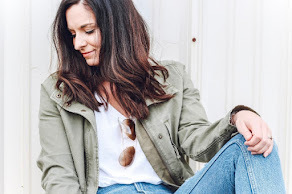 The first one was the perfect outfit for transitioning into spring (and that look will definitely be on repeat because it's one of my all-time favorites)! 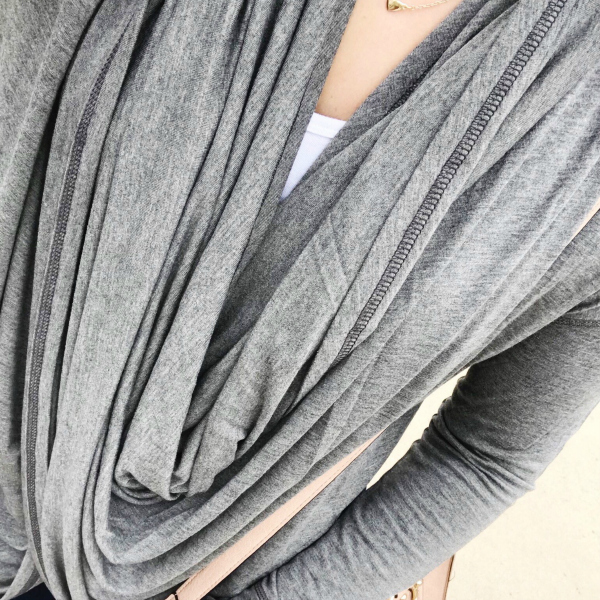 The second one featured two great comfy casual pieces from Simple Addiction (including a coupon code) because who doesn't love a good hoodie and leggings outfit?! Today, I'm sharing my weekly Instagram Roundup, including outfits and outfit inspiration from this past week. I currently am having some major spring fever! 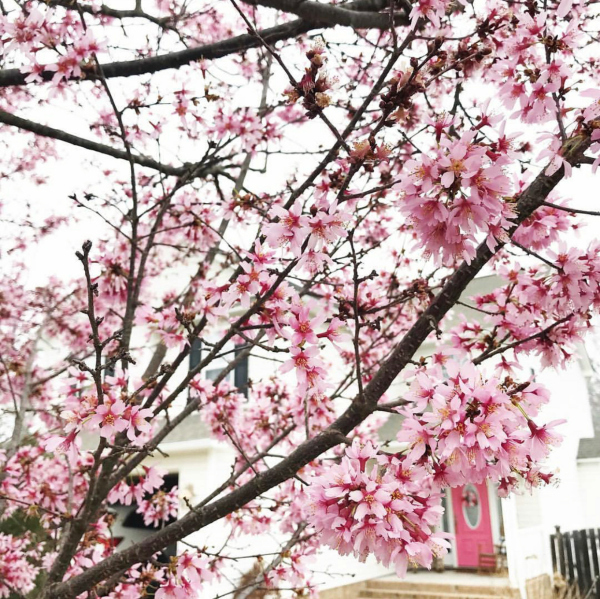 It never fails, as soon as that Japanese Cherry Blossom tree blooms in my front yard, I am ready for spring... except I'm not ready for the pollen, just the warm weather, pretty flowers, and fun spring outfits. What's your favorite season? I absolutely love fall and spring! This outfit just screams spring to me and I can't wait for the temperatures to warm up so that I can actually wear this happy combo. My exact bag is sold out but I linked a similar option, too. I wore this outfit for one of my recent Target runs and I literally had three people stop me to tell me how much they loved this outfit. I love the mix of feminine and edgy in this look. 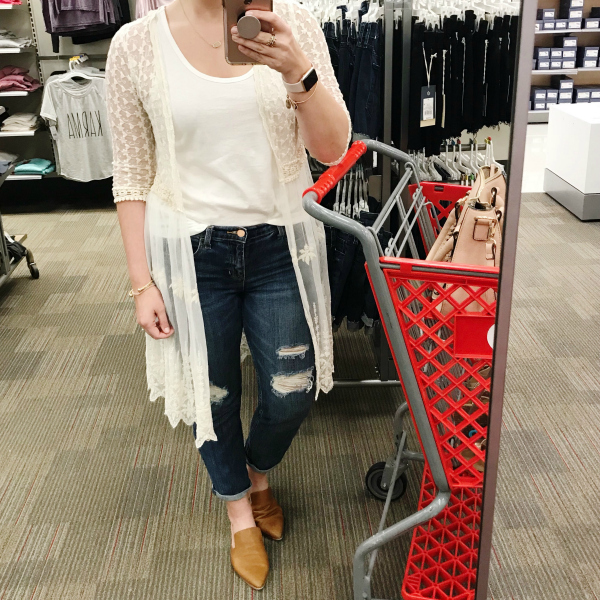 My lace cardigan is from last season but I found a couple of similar options as well as a budget friendly lookalike for my shoes that are under $25! Yay for a good look for less! I think I wear this convertible cardigan at least once a week because I love being able to wear it wrapped like this or as a long cardigan. 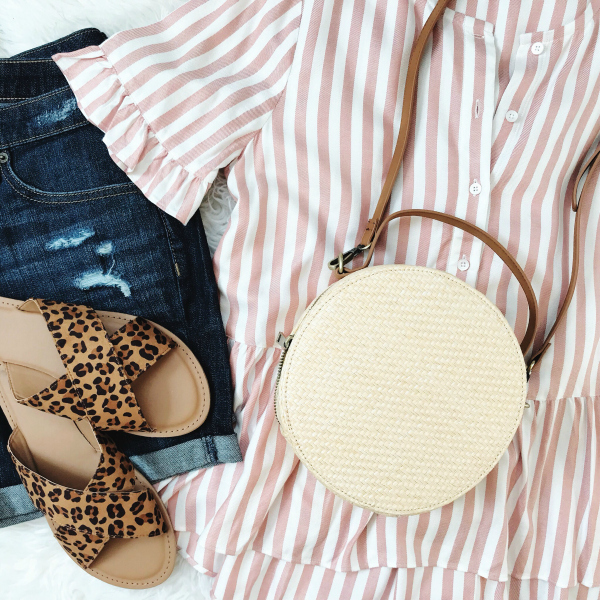 This easy look will be on repeat on spring and summer long. I love throwing on a basic white tee with jeans, fun accessories, and comfortable sandals! 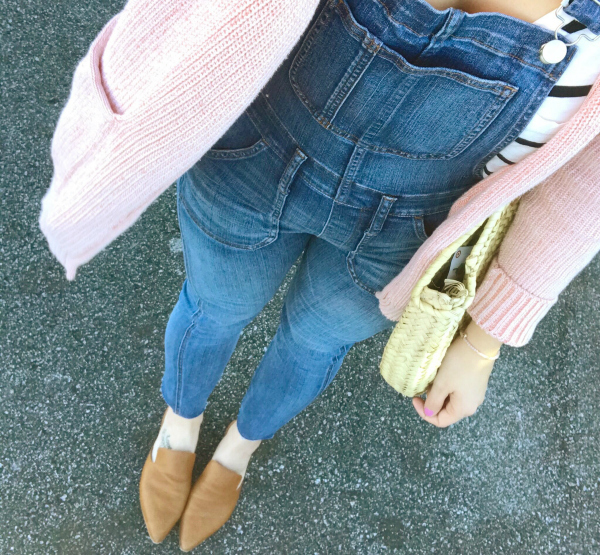 These overalls are also currently getting worn at least once a week! They are so comfortable and fun to style. I linked a similar budget friendly pair below, too!